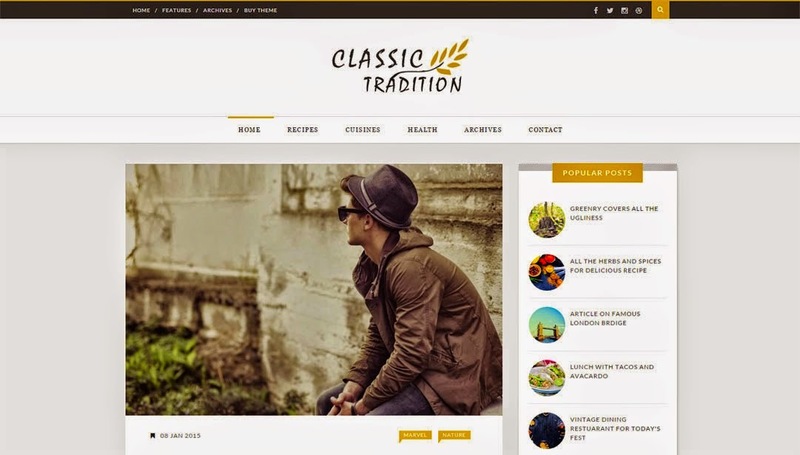 Classic Tradition is a multipurpose blogger template for the blog lovers, photography enthusiasts, and travel, food and health bloggers. We have maintained the simple design in this blogger template to make your blogging experience very awesome. This template is packed with some cool customized widgets which helps your blog look more professional. SEO part of this site has been improvised properly so that your blog gets satisfactory traffic.